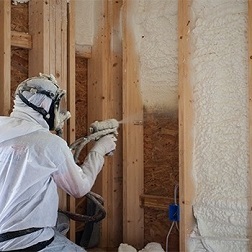 Spray Foam Insulation is the most energy efficient product you can install in your home, allowing you to lower your heating & cooling energy usage by 50-60%, compared to traditional insulation products, for the life of your home! That means that you are directly responsible for 50-60% less oil, natural gas or coal being burned to create electrical power or fuel your heater. 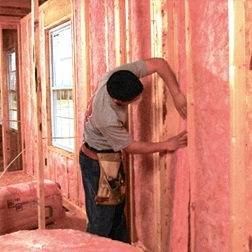 Our Spray Foam Insulation, Sealection 500™ is also made with renewable plant oils, recycled water bottles and is manufactured on-site as it is applied so we start the process in an environmentally friendly way and significantly reduce the fuel used to the insulation to your home.